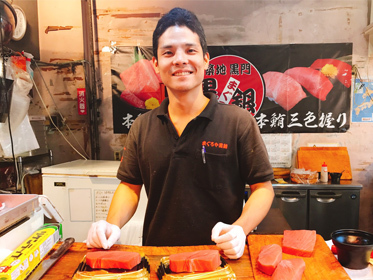 Serving the best tuna in the Tsukiji Outer Market. 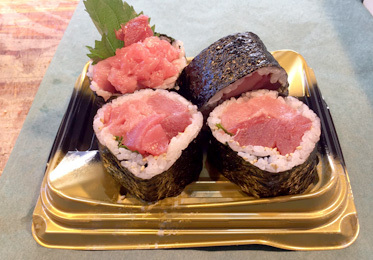 An authentic tuna in Tsukiji, the epitome of riverside fish markets. 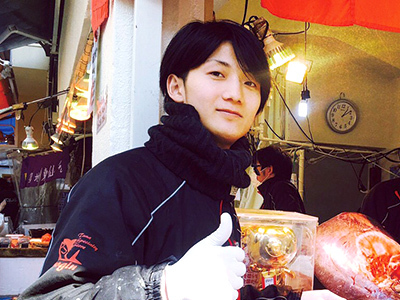 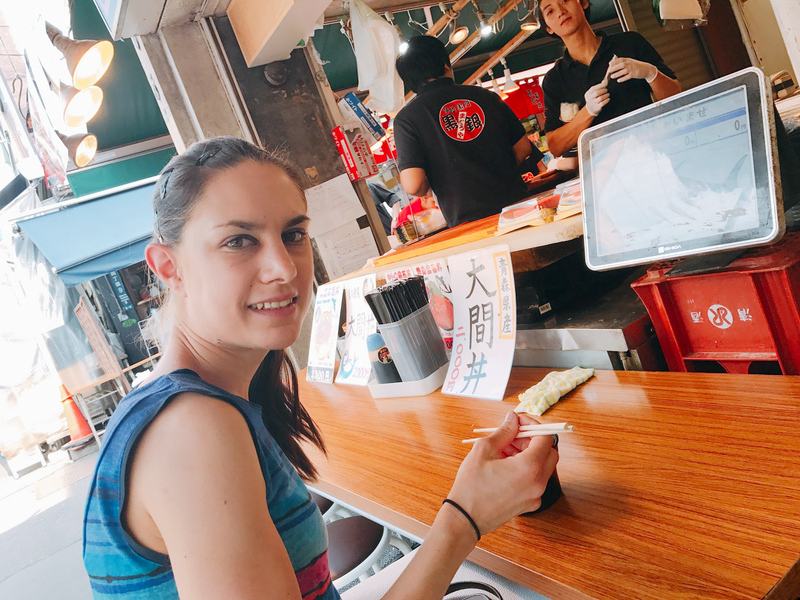 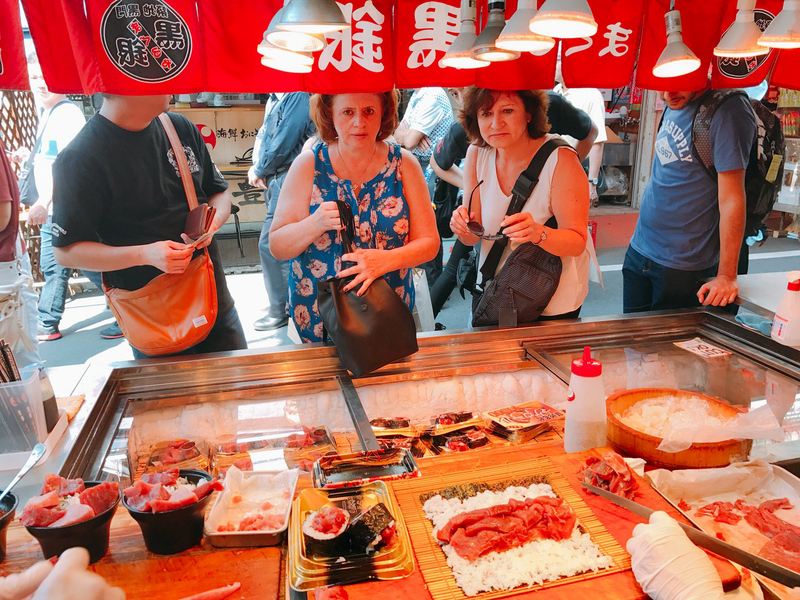 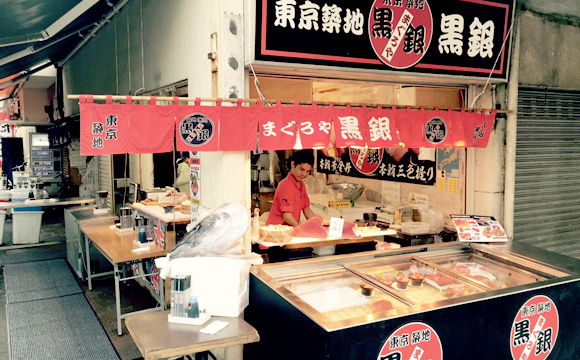 Tsukiji, Japan's largest fish market of the tasteful setting. 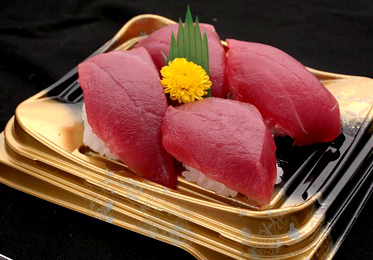 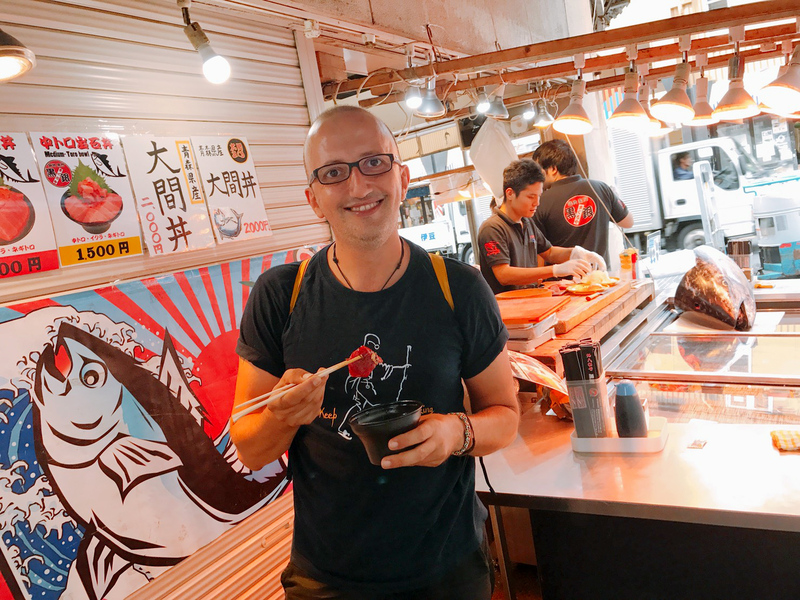 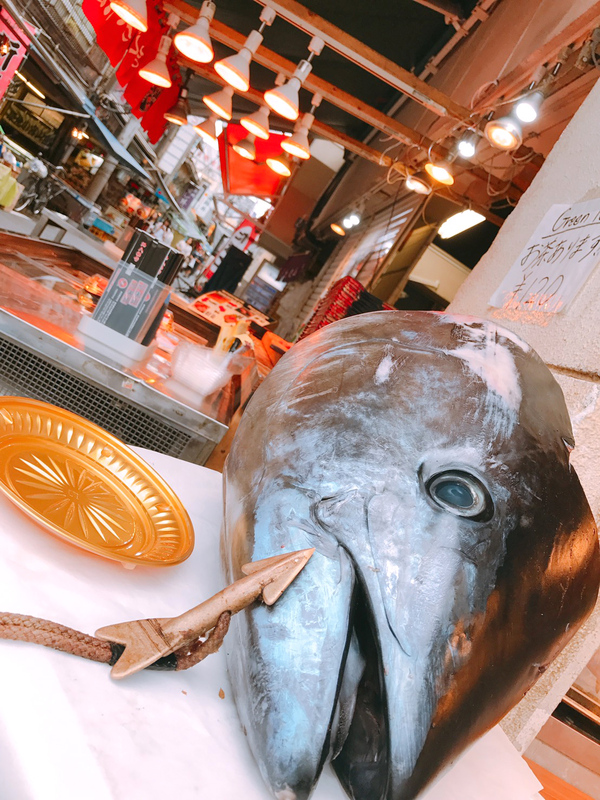 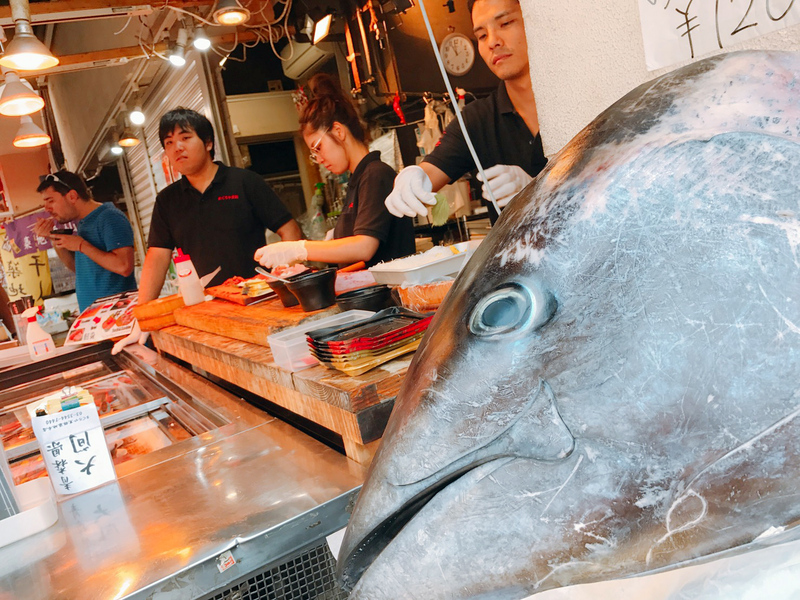 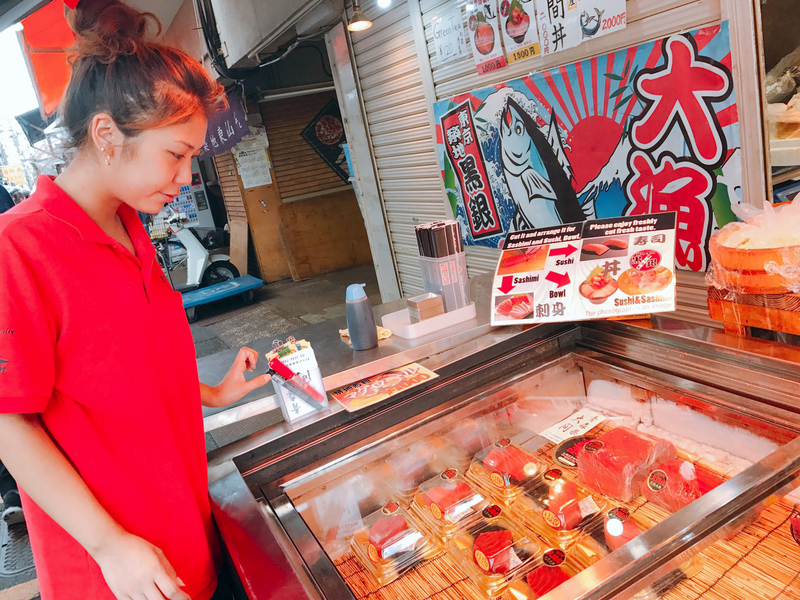 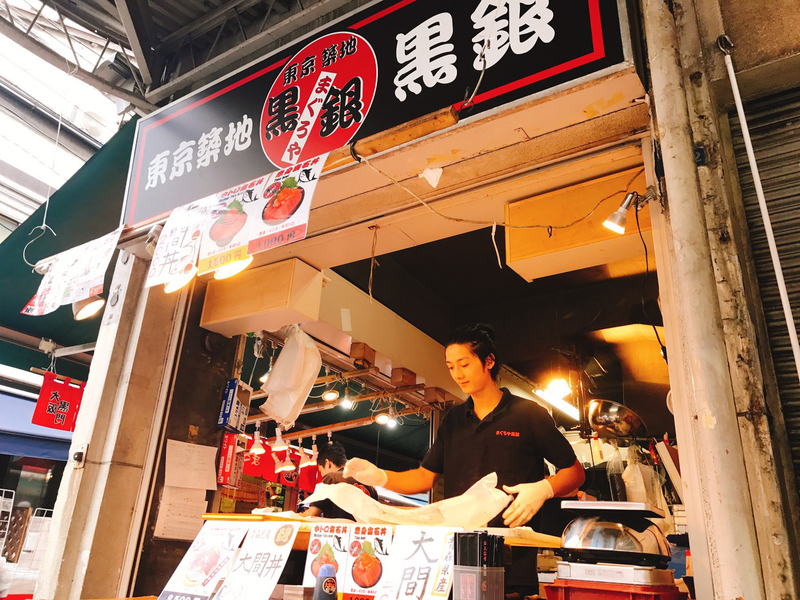 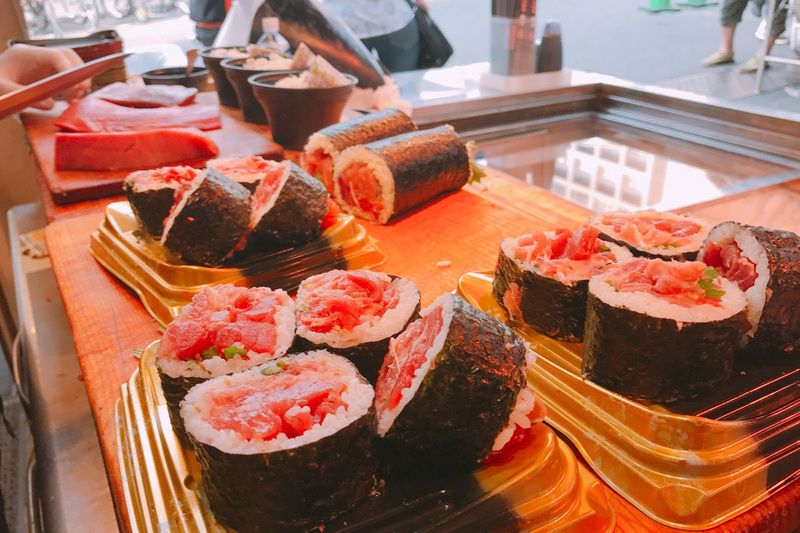 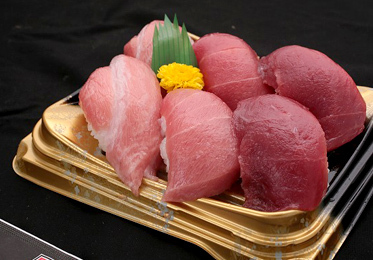 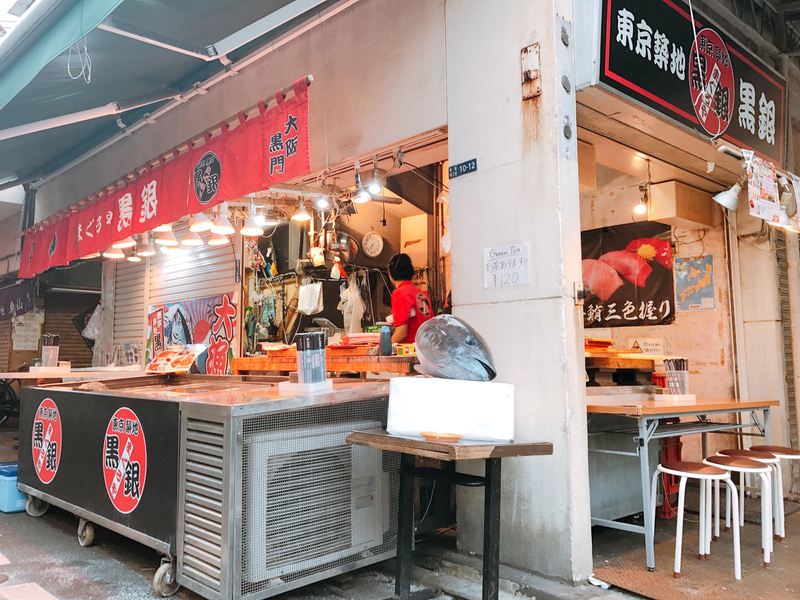 In one corner stands Maguroya Kurogin Tsukiji Honten, where a visit just may change your whole idea of tuna. 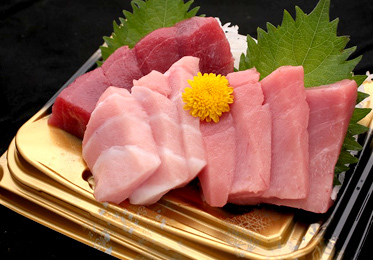 You can witness the fish being prepared and see the chef take the cuts you selected and turn them into a premium dish. 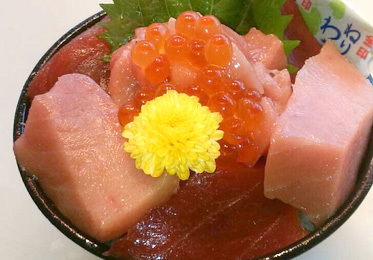 Flavor and texture that you can appreciate at a glance. 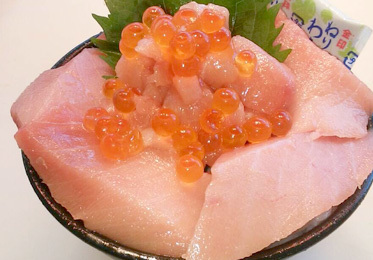 This is the luxurious experience we present to you. 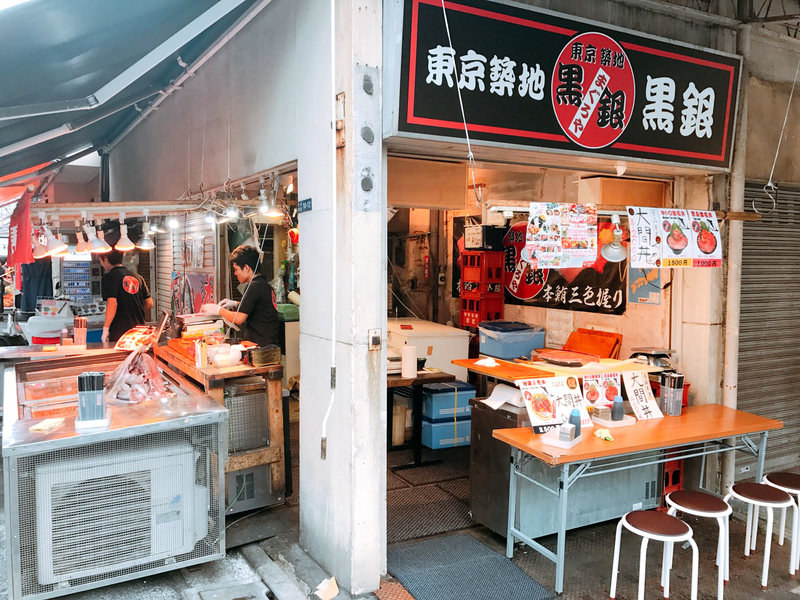 A 1-min walk from Exit A1 of Tsukiji-ichiba Station on the Oedo subway line. 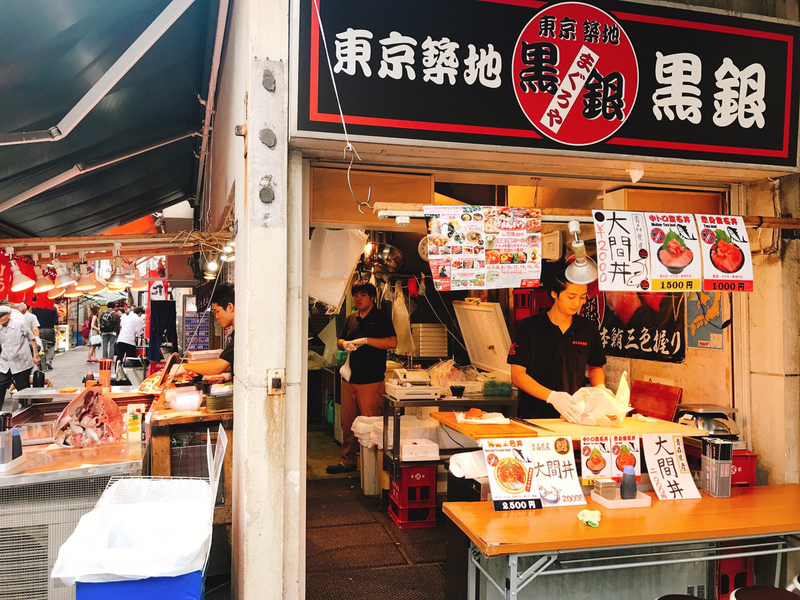 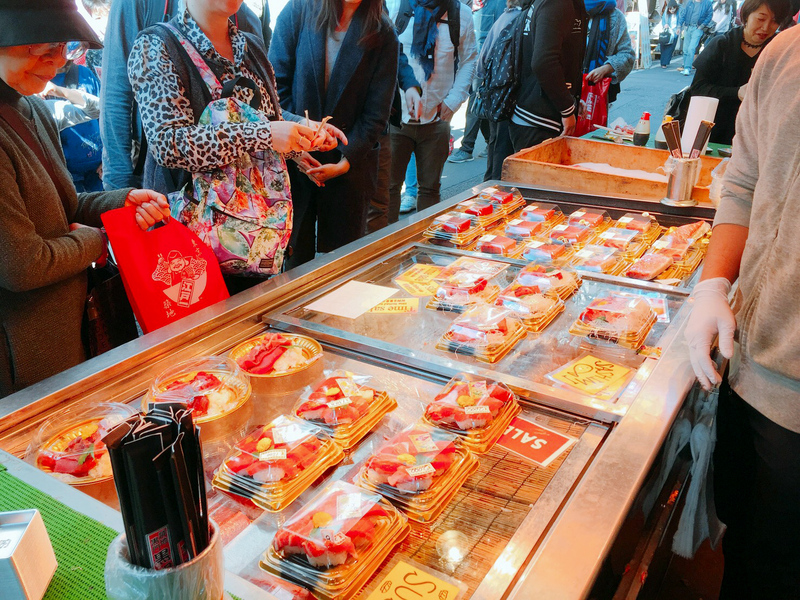 A 1-min walk from Exits 1 or 2 of Tsukiji Station on the Metro Hibiya line.